For many, the Christmas holidays are their favorite time of the year, shopping for Christmas trees and hanging outdoor lights is how they kick-off the season. Now is the time to begin thinking about your theme for this year’s season. Each year brings new DIY holiday decorations and improved technology. One task that never gets old is pulling out lights and testing to make sure they are working. Testing older lights is something that should be taken seriously. Faulty wiring can lead to bigger issues. Plus, you don’t want to hang your lights and then learn there are blown or missing bulbs. More importantly, improper installation of outdoor Christmas decorations can lead to a damaged roof. 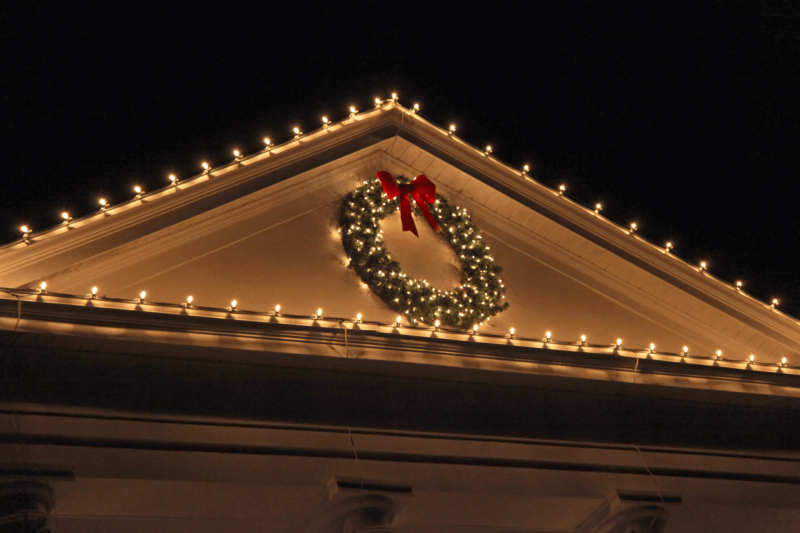 Continue reading for tips on how to safely display holiday decorations without damaging your roof. We see them everywhere during the holidays…in yards and even on rooftops. You’ve probably wondered how holiday inflatables are mounted to the roof without causing damage. Many people have learned the hard way that nailing decorations to the roof can have long-lasting consequences. Once the inflatables are taken down the homeowner is left with holes in their plywood. The safest way to mount inflatables is to use sandbags. Some come with mounting rope, or you can get your own. Attach the ends to sandbags and then decorate the bags with cotton to resemble snow. Another suggestion is to tie the rope to the gutters, but they can be risky if not done correctly. 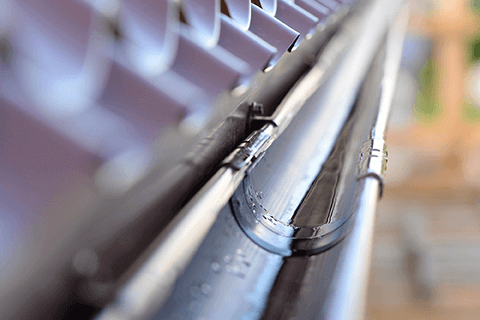 Before you hammer nails into your roof or fascia, consider using gutter clips to hang Christmas lights outdoors. Clips for outdoor holiday decorations come in many sizes and decorations. Determine the type of lights or trim you will be using, and make your selection based on weight, height, and length. Clips typically come in bags of 25, 50 and 100. There are also clips for shingle and tile roofs. 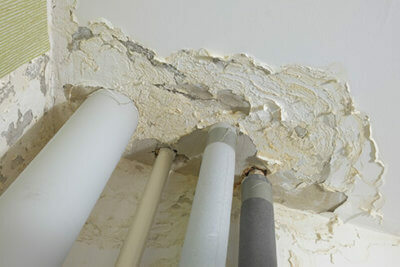 Check the condition of the roof before using. Dry and wore shingles may tear if clips are used incorrectly. Holiday lights are beautiful and it’s easy to go overboard outside. Make sure you only use outdoor Christmas lights. It is also important that your outdoor holiday decorations are plugged into a ground-fault circuit interrupter (GFCI). There are a lot of decorations on the market today that has timed light shows, musical lights, and motion detectors. It is vital that you read the directions and warnings before installing. Most importantly, as an added precaution disconnect the power to your decorations before going to bed or leaving the house unattended. The holidays are about celebrating family and making new memories. Keep your family safe by following these simple rules for displaying holiday decorations. 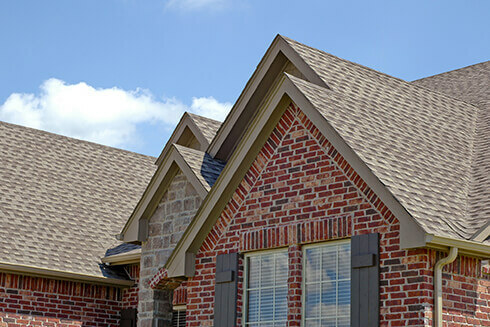 If your roof is damaged during the holidays or any other time of the year, we can help. 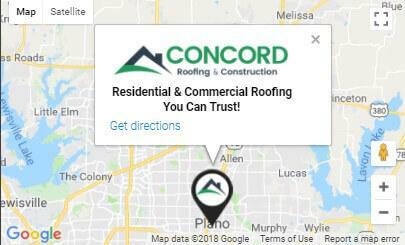 Click here to contact us if you have a minor repair or need a quote for a full roof replacement. 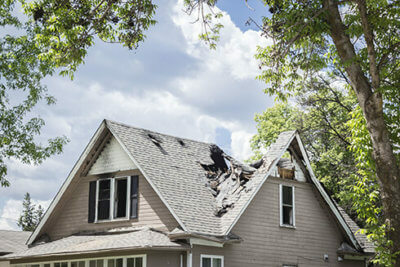 Budgeting Ahead of Time: How Much Does a Roof Replacement Cost?